That famous saying of ‘Have your Cake and Eat it’ really is a reality for all the little babies of Stockport! Cake Smashes in Stockport are a fun, messy-play way of celebrating your baby’s first birthday. The first birthday is an exciting time and milestone for many parents, particularly mothers. It is a time of joy and reflection on the fun and challenges of the last 12 months. Suddenly, your tiny newborn baby is approaching their birthday. These sessions are as straight forward as they sound! A Cake-Smash!! Your baby gets to eat their very own, FIRST BIRTHDAY cake. They actually get to ‘Have your Cake and Eat It’. Cake Smashes originated in the USA and since its arrival to the UK, they have been growing in popularity and sweeping across the country faster than you can imagine. They have become increasingly popular with parents in Stockport. Parents see it as an alternative to lots of presents. Consider it as an opportunity for a really fun, sensory experience; one that you don’t need to clean up afterwards because that is what I’m there for! Bonus! 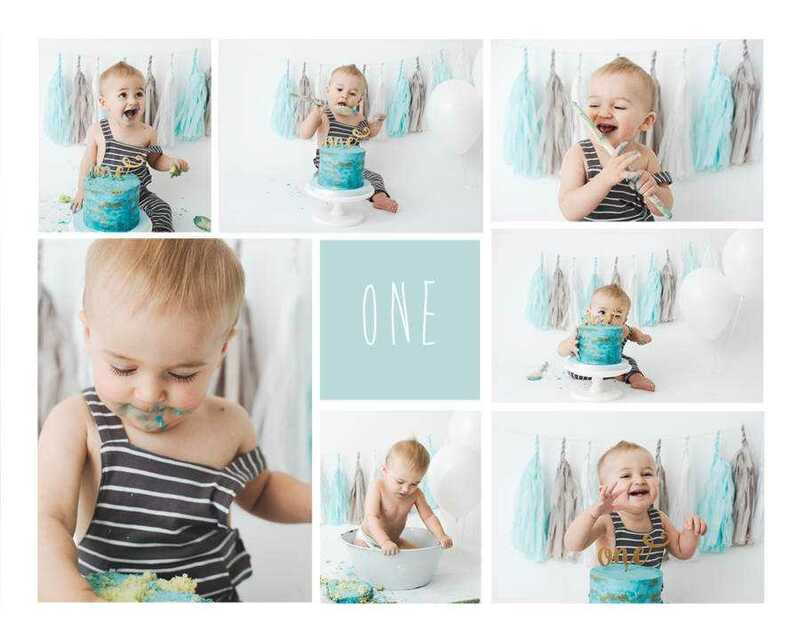 Every baby is different and whether they decide to dive in and smash their cake everywhere or gently pat the icing, it is still an opportunity to capture their personality. The benefit is, that if there is plenty left over at the end – you can take it home and ‘Eat It Too!’ No matter which way they choose to get stuck in, the best part of it all is witnessing your little one have some fun. Sessions last about 60 minutes. This is plenty of time to take lots of gorgeous photographs. This is usually more than enough time as sensory activities can get overwhelming. Your baby will most likely want to sleep on the journey home too! These high energy portrait photography sessions are really great for babies and toddlers up to the age of 2 as they are still likely to be in the exploratory phase of their development. Sessions at NC Hopes Photography, Stockport are very relaxed and baby-led. I take some time to get to know your little one and capture some ‘clean’ portraits to begin with. Can my older child be included in the session? Sibling photos and family portraits are all included in your package price. These take place at the start of the shoot. Then comes the CAKE! As your little one interacts with the cake they will enjoy the sensory experience of using their hands and feet, exploring the taste of their cake and seeing it! If they are crawling or even walking, this adds so much more fun to their portrait session! Catching them and putting them back on set always produces the biggest smiles and giggles around the room. To round the session off, your baby is offered a ‘Splash’ session with a warm, bubbly and interactive bath to wash off the cake and this part is a favourite amongst all babies that come to the studio! It is also a perfect way to wind down and then dry off with you before getting dressed again. 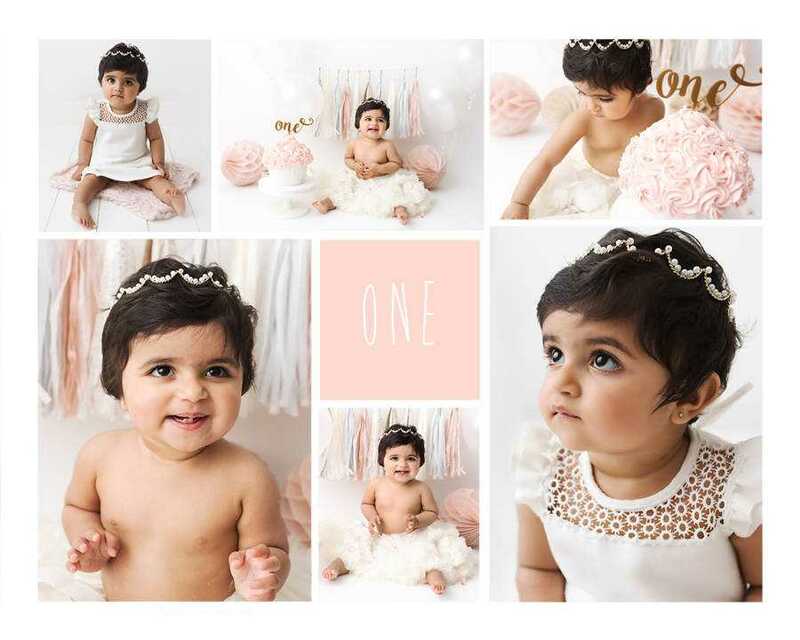 Following your session, I carefully retouch the best 20-25 images from your baby’s gallery and in about 3 weeks time, you are invited back so we can sit together and watch a high resolution slide show of their images to decide on your favourites for wall-art and digital packages. There are a few things that would be ideal if you brought with you! Cake gets everywhere! So please do bring a change of clothing, especially if you wish them to wear something different for the Pre-Smash portraits. Bring their favourite towel to dry away all the bubbles from the Splash. Finally, a favourite toy to keep them entertained should they require it and any specific items that you would want to be included. It is recommended that you are booked in advance of your baby’s birthday. These sessions are limited in numbers and can book up months in advance.My studio is based in Cheadle Hulme, Stockport. There is onsite parking which makes it super easy to arrive with your little one and all their bits and bobs! To book your session click here or alternatively give me a call on 07422528951, or drop me an email! Oh how I wish that this sort of memory- making was around 30 years ago for my babies! I have seen the images which result from these photo-shoots with Nikki, and I fail to see how anyone could NOT want to do this for their precious little ones. Nikki is an absolute professional and perfectionist who will help you to make memories you will want to look at for decades to come. A shoot with Nikki is fun and relaxing. She’s a fab photographer, creates amazing images and the finished product never disappoints! I have loads of prints in my house and they make it a home! This is really informative thanks. I love the collage! Super cute. Amazing cake smash photo set-ups. I especially love the girls! Really love the cake smash idea, especially with photos like these- amazing! This is a wonderful way to celebrate babies first birthday! Nikki is wonderful with the children, it’s so much fun!!! It’s a lovely experience for parents too, the pictures are beautiful and you get to eat cake! Love this article. Cake smashes really are a SMASHING idea! Beautiful pictures, so talented! Such a great experience to celebrate your babies birthday. Nikki captures all the fun memories in each and every cake smash, creating amazing photos to keep forever. I have always wondered what is involved in photo shoots. The cake smash ones look like lots of fun. My baby isn’t born yet so I’m going to have a look at your newborn packages now. This blog is very informative Nikki. Thank you.